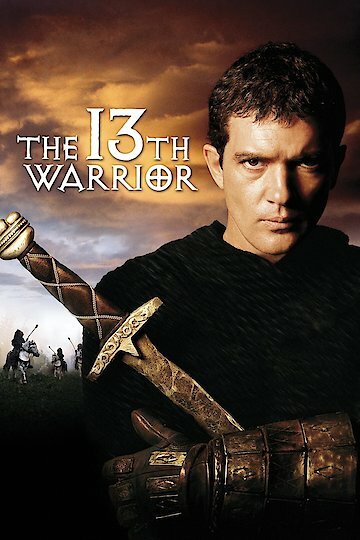 The film entitled The 13th Warrior is based on history. Ahmed is a poet who writes for the Kalipha of Bagdad. Ahmed gets involved in a relationship with the wife of a renowned noble in society and when it is discovered he is sent away from the locality and warned never to return due to his terrible act. Ahmed then heads for his new destination alongside Melchisidek when then get attacked by raiders. Fortunately some Norwegian guys come to their rescue. They therefore took refuge on the banks of the Volga river and Melchisidek starts communicating with Herger in Vulgar Latin. The King of this locality had just died so Ahmed and Melchisidek go along to the funeral where they witness a fight after which Buliwyf is crowned as heir to the throne. While all this is going on, a young man comes in to tell Buliwyf that the far northern region of their kingdom has just been attacked. The oracle tells them thirteen men are needed to go on the mission to make it successful and Ahmed is forcefully selected to go with them. Ahmed sets off on the journey with the others and while on their way he learns the Norse language. The Norsemen are very huge guys so, Ahmed was the smallest in stature among the group such that he gets teased by the Norsemen. However, Ahmed also has abilities such as him being able to write, his horsemanship which the others lacked. They finally reach their destination and find out their enemies are the Wendol who are out to attack, kill and eat human flesh. A village witch tells them to follow the Wendol to their land and murder all their leaders. They obey the witch and track the Wendol all the way. Buliwyf gets poisoned by the mother of the Wendol just before she is killed. He succeeds in killing the leader of the Wendol after which he dies from the effects of the poison. Ahmed returns to his homeland after Buliwyf's funeral. The 13th Warrior is currently available to watch and stream, buy on demand at Amazon, Vudu, Google Play, iTunes, YouTube VOD online.